Driving Miss Daisy (1989): Dir. Bruce Beresford. Written by: Alfred Uhry. Based upon the play of the same name by Uhry. Starring: Jessica Tandy, Morgan Freeman, Dan Aykroyd, Patti LuPone, and Esther Rolle. Rated PG for language. Running time: 99 minutes. In 1989, the Academy chose to address the hit-button issue of racism…and chose the wrong film in the process. While Spike Lee’s seminal Do the Right Thing was shut out as a Best Picture nominee, the Academy went with the “dignified” Driving Miss Daisy, an infamous decision to say the least. The film traces the history of retired schoolteacher Daisy Werthan and her chauffeur Hoke Colburn from 1948-1973. After Daisy nearly totals her car while backing out of her driveway, her son Boolie hires Hoke as her driver. Daisy initially resists, but comes to learn that she and Hoke have more in common than she may have thought. Adapted from a play, Daisy feels glaringly un-cinematic. That which may have worked on the stage comes off stagy and unnatural, and offers little visual flair. While Jessica Tandy and Morgan Freeman compensate with a credible relationship, Dan Aykroyd plays Boolie like he’s still on Saturday Night Live. Unfortunately, the histrionic quality of the writing hampers all of them, with Morgan Freeman sounding alarmingly like Uncle Remus from Song of the South. I might be willing to overlook that if the film had anything profound to say about racism. Instead, the film relies on platitudes and audience-coddling generalizations. There’s never a sense of consequence to this time and place—even a potentially traumatic event loses its import because Beresford doesn’t effectively flesh out the world in which it happens. The film also suffers from pacing issues—you’re never sure how much time has passed until you see the characters sporting grayer hair and make-up jowls. 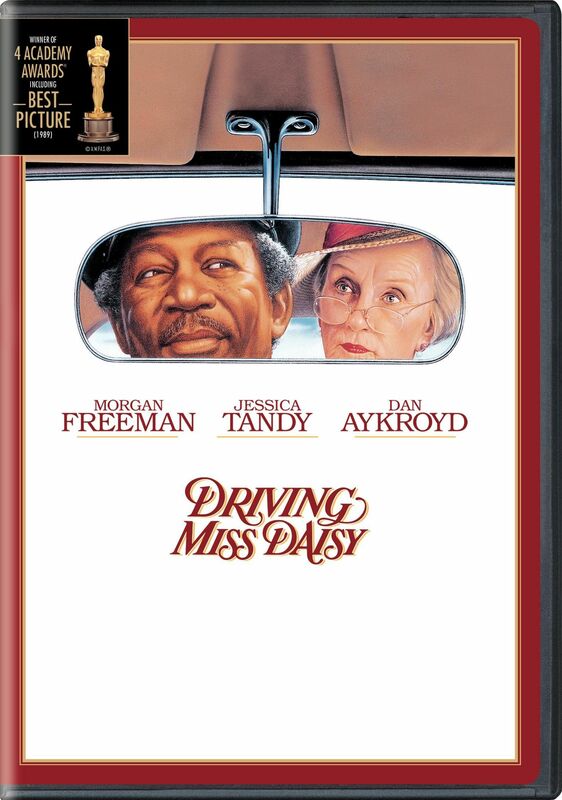 Driving Miss Daisy doesn’t overtly offend, but suffers from a frustrating lack of ambition. I haven’t read the play upon which the film is based, but I certainly hope it achieves a specificity with its characters that is utterly lacking here.